As an independent shipping agent, your sales put food on the table . . . but administrative work equals starvation. Get back to work with Rock Solid. You don’t have the support staff of a large organization, but you have the same needs to manage your business. Rock Solid can put you on even footing and give you back your day time hours for selling. Sure, we make the systems used by the multi-million dollar firms, but we’ve created a special version just for you. 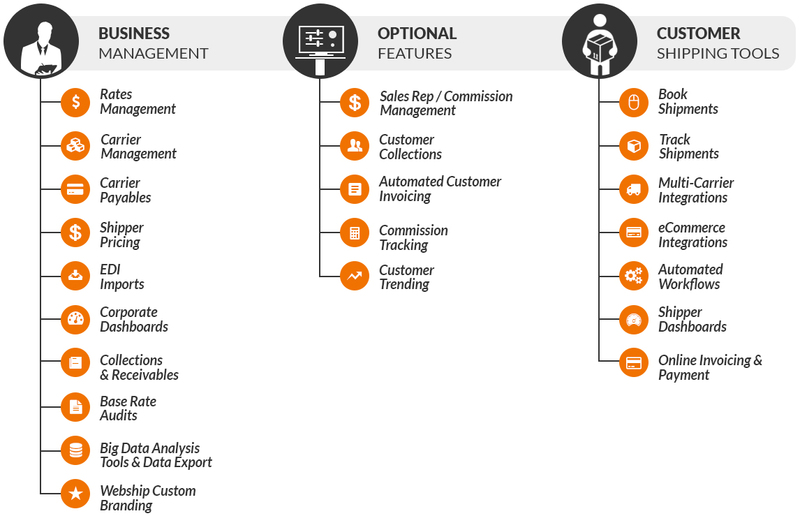 With Rock Solid, You’ll be able to manage your customer accounts, automatically send invoices, do base rate audits on your carrier invoices, collect payments online, manage Accounts Receivable, track your progress, and offer a fully integrated multi-carrier/multi-cart shipping platform, branded to your company. It’s really a sweet deal.